This core deck of 56 large-format cards contains all the spells for every magical lore printed in the Warhammer rulebook (including the signature spell and lore attribute). Each full-color card describes one spell, and all the information you need to use it on the battlefield, including spell type, casting value and range. 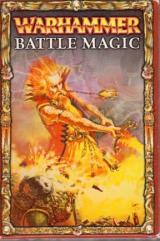 Not only are the spell cards a great, tactile way of representing magic in your games but on a practical level they make selecting spells easy and speed up play in the heat of battle itself; there is no need to flick through the reference section of the rulebook, just keep the Wizard's spell cards to hand during the Magic phase. This set contains 56 large-format cards detailing all of the spells printed in the Warhammer rulebook.